You might be wondering – another shopping tips blog post? Aren’t we over the shopping flu? In fact, you might even be fed up of all the shopping binge that you went on in December. 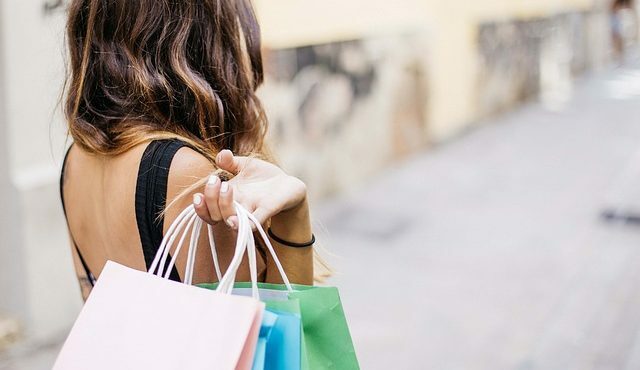 But hear us out, we have some lovely budget shopping tips! We know with the new year comes new year resolutions. Lose weight, save money, travel more, do yoga every day and meditation being the most popular ones. Although we can’t help you in shaving off some tummy flab or contort your body into some awe-inspiring posture, we can definitely help you stick to your “save money” resolution! Here are some of our tips that will help you shop smarter and save money while you shop! Let us get the most obvious one out of the way – start with making a shopping list. Without a shopping list, you are tempted to shop impulsively which of course is very harmful to your pocket. While making the list, don’t just look at the immediate things you need, start listing the things you think you might need in the future too. For example, did your partner just give you a hint on what he/she would like for their birthday? Put it on the list. Do you think your fridge might be breathing its last soon? Put that on the list too. Now you might think there is still time for the birthday or that you can fridge will fight for its life, but since you have put it down on your shopping list, you will end up scanning the store for them(consciously or unconsciously) and might end up of spotting some deal that you might have missed otherwise! So it is absolutely essential that you have a shopping list hand every time you shop. This shopping tip entirely upgraded my shopping game. It was when I was shopping for my summer tops that I realized that there were huge sales on winter jackets(which of course I had bought for its full price just a month ago!) This is because the departmental stores need to rid their storage off the old collection and season clothes so that they can accommodate more in-season clothing and accessories, Hence the huge discount. So stock up for the next winter and get those jackets!. Buy scarfs that can keep you warm and can be given as gifts. May move into a dorm in less than a year? Then stock up on utensils and bedspreads. Why buy something at full price when you can get it a lot cheaper by waiting a while? And is it too early to shop for Christmas gifts? We even have some amazing gift ideas for you! Also if you find sales to be too uncomfortable, we have some shopping tips to help you during the mad rush of the sale. Loyalty cards or reward cards or store cards as they are popularly known, are the best way to get paid while you shop! Figure out the places where you shop most often and enroll for their loyalty card scheme. Loyalty cards let you add points to your card while you shop. You can earn some really sweet savings when you redeem these points. If you are in Uk, we have a list of the best loyalty cards in Uk – everything from nectar to subway. The main issue in getting into loyalty schemes is the unnecessary bulk that it creates in our wallet. For this, you could use a simple reward cards app that lets you store all your loyalty cards in one place. You scan your card into your phone and use it while you pay for your shopping. You can get Reward cards app on both iPhone and Android phones.